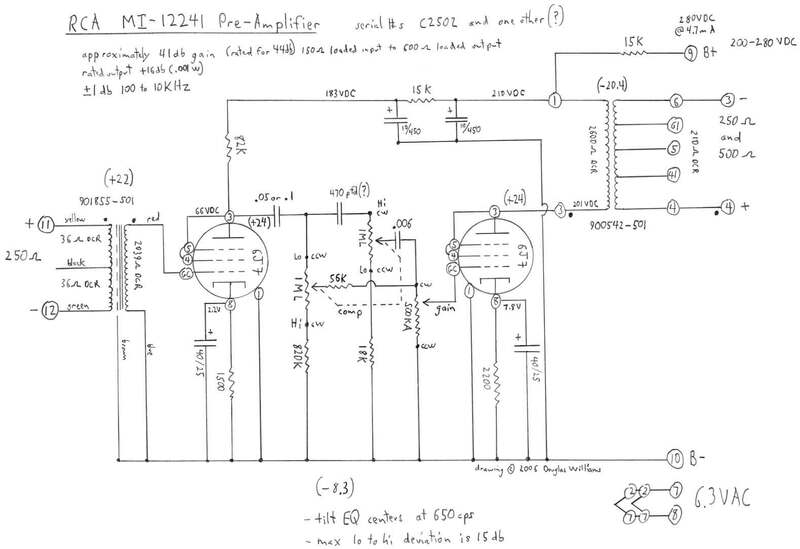 I've always wanted to explore alternative equalizers and their topologies for home listening. I have a pretty large file of stuff. Tilt EQs are one of the first to come to mind. There's an ongoing Tilt EQ thread going on at GearSlutz; Jakob at Gyraf has introduced his new Tilt EQ and we have recent articles based on the early work of Quad and Ambler popping up. Douglas Self describes the 1970 work of Ambler published in Wireless World. The HeadWize site, now defunct, also had a Tilt EQ project. Over at GearSlutz Tilt EQ is seen as providing a gentle correction ideal for final mastering touch-up. The consensus seems to be that 650 Hz is an optimum rotation point. I am not so sure there is a pot of gold at the end of that "less is more" rainbow, but it will attract some attention for being different. I see it as more of a "value" application where you need some EQ but can't afford all the pots and knobs and panel real estate. I have used tilt EQ in the side chain of noise gates where they were pretty effective at improving the selectivity of the gate helping key on or ignore frequency spectra. My side chain application probably used more severe EQ than would be desirable for gentle sonic touch up...but I was trying to kill or enhance specific spectra. 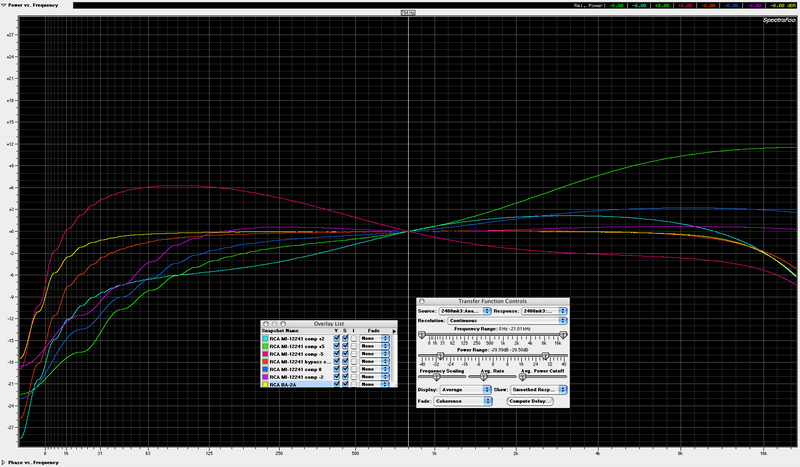 For "important" EQ I would much prefer having more control like full parametric. Parametric can be applied more gently, and more selectively than any other type. Another one of my old wing-nut ideas was to make a para-graphic EQ. THe powerful thing about graphic EQ was the visual representation provided by the sliders that reflect equalization changes. I hypothesized a pair of frequency slide pots running laterally, with a vertical boost-cut slide pot attached to the frequency slider handles. The final icing on the cake was a rotary q pot attached to the boost/cut slider. Center frequency is graphically represented as the boost/cut pot is moved left-right. The boost-cut is represented by normal up-down movement. The Q know would have some kind of rack and pinion pointer that grows wider or narrower as Q is adjusted. I never reduced this to practice, because it is kind of silly, and once again this could be better done with a computer interface. Have fun... The tilt knob might make sense for a very very cheap entry level PA head, but even at Peavey we used two knob Baxandall tone controls for the cheap mixers. The perceived value increase from adding just one more pot and knob to a tilt EQ was notable. The folks at Gearslutz were looking at very gentle slopes about +/-3dB (or less) total. More of a broad-band gentle final touch-up rather than a correction. mediatechnology wrote: The folks at Gearslutz were looking at very gentle slopes about +/-3dB (or less) total. When Peavey made their tube mic preamp, it had shelving EQ, I argued for and got a limit of +/-6dB max, so it would be harder to make it sound bad. For mastering I think one of the appeals to it is both its' broad shelving gentleness (when limited to +/3dB or less) and the fact that its one knob. When the producer asks "Can you make it just a tad brighter?" you only have one simple tweak. The asymmetric example he shows in the OP, with small HF range and larger LF adjustment, seems well-suited to home listening with smaller monitors. When I'm using Baxandall controls with smaller speakers I'm usually adjusting the LF control over a bigger range. Its usually to counter the effect over-aggressive "loudness" compensation. A design trick I used to do with Baxandall bass EQ sections was to add a cap in series with the input R such that commanding large amounts of bass boost shifted up the input HPF roll-off caused by that cap working into the input R that is reduced at max boost. (the cap needs to just be in the LF leg). It reduces the potential damage from commanding 10 to 20 dB of shelving bass boost. I recall seeing that type of Baxandall ploted where at max boost it progressively changes from a shelving response to a broad bell curve in boost but not in cut. I think many EQs that did that were unintentional from an undersized input C but deliberately introducing it, particularly in a PA console, makes sense. Wasn't there a popular console that used the unbuffered EQ input - and it's variable load - as an insert return? mediatechnology wrote: I recall seeing that type of Baxandall ploted where at max boost it progressively changes from a shelving response to a broad bell curve in boost but not in cut. It also makes sense in the fixed install business where too much LF boost can saturate the 70/100V output transformers. I actually found that by accident measuring a cheap small Mackie mixer on the bench... using an 8903(?) bench test set. As I recall it had a 600 ohm source impedance switch and when I tested at 600 ohms the tone control interacted with the insert return input level/frequency response. RCA used 650Hz in the late 1940's, calling it 'compensation'. I measured closer to 800Hz on a restored unit. That's abbreviated to 'Comp' on the panel, so people are always trying to sell them as tube compressors. There's a late 1930's RCA Photophone EQ for film soundtrack processing that does +/-6dB as high and low shelves situated such that they look like tilt if bass and treble are oppositely situated. Thanks for sharing that Doug. I'm glad to see there's a history of the Tilt EQ which predates the 1970s. "Compensation" is an interesting term. I think Self points out that these controls are also sometimes called "Balance" which is equally confusing.